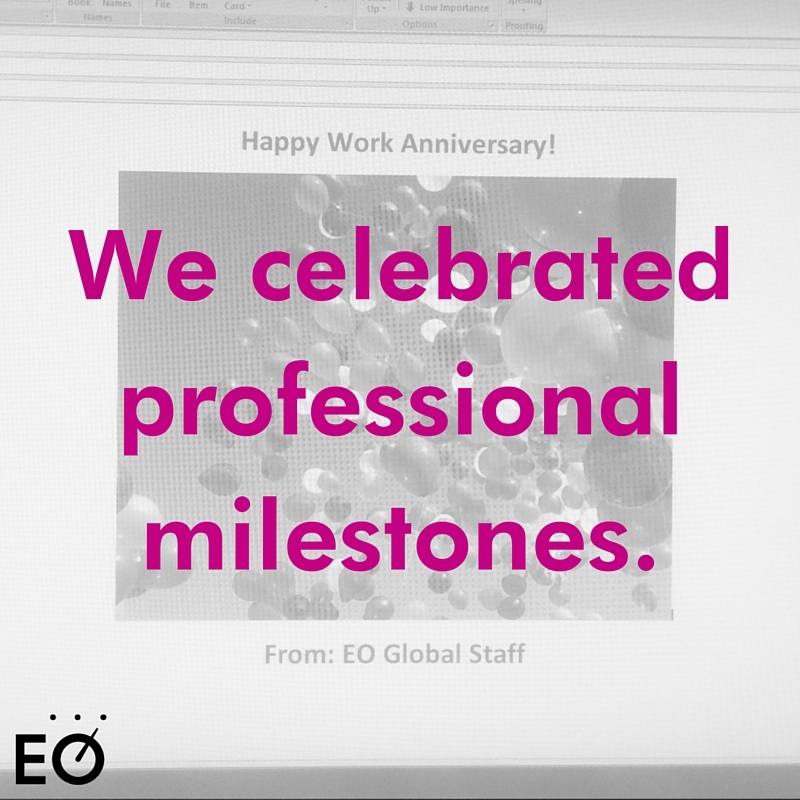 At EO’s Global Headquarters, we as staff have a passion for serving our members, and we help provide the once-in-a-lifetime opportunities for which EO is renowned. What you might not know is that many of us are also entrepreneurs with business concepts of our own – from award-winning artists to digital media gurus, we truly love working for an organization that connects us with leading business owners around the world. Just as your businesses strive for excellence and create an environment of growth and progress, we are part of a fast-paced culture that requires our enthusiasm, strong work ethic and motivation every day. Universally, some days are more difficult than others, and each of us struggles to give our best to every task. Luckily, we identified this truth early-on and put systems in place to guarantee success and keep us motivated. Thanks to our newly-remodeled office space, we have access to white boards, furnished meeting spots and an innovation lounge, which we use to hold frequent group meetings. It’s not uncommon to see different teams in our office “mapping out” strategies and creating a game-plan for each project we undertake. 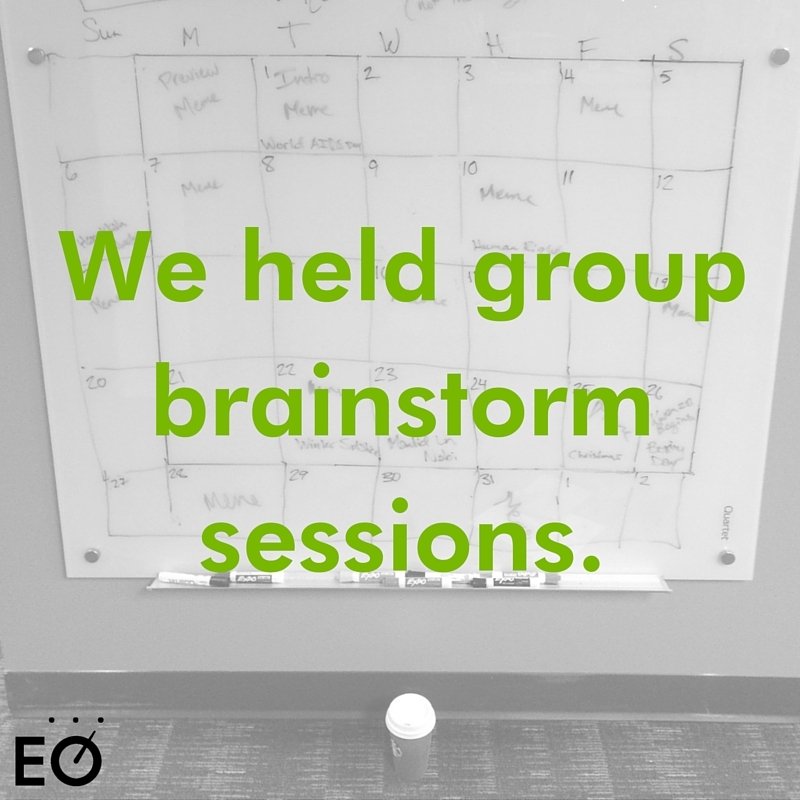 At EO, we value multiple, diverse perspectives, and thanks to our new tools, it’s easier than ever to call a last-minute meeting. 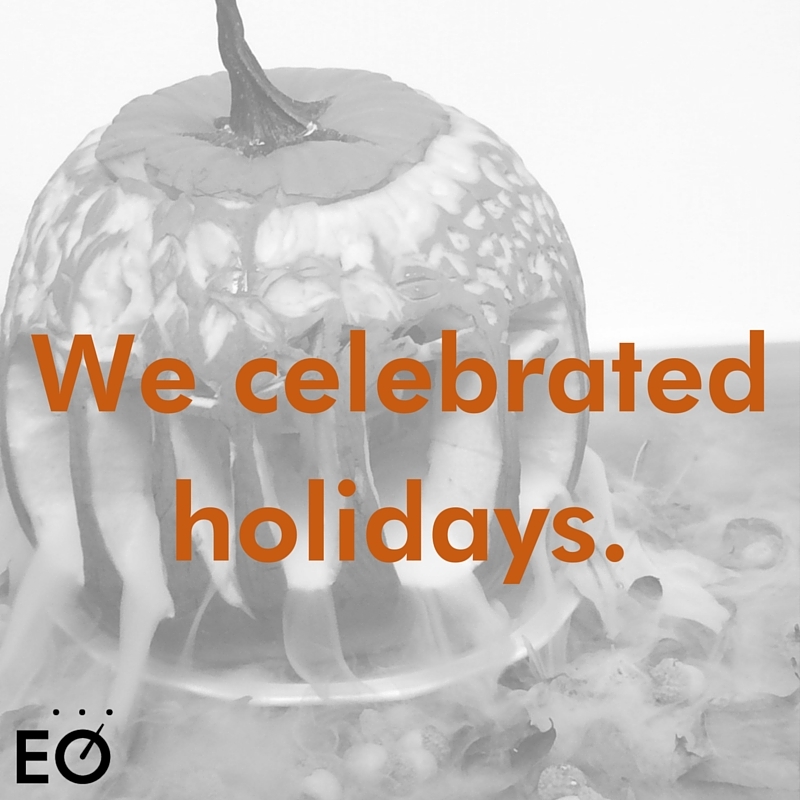 Each company has their own way of marking different holidays; EO is no exception, and we take it VERY seriously. This fall, we held our annual pumpkin carving contest, where teams competed under a deadline to create the most unique spectacle of root vegetables possible. In order to work hard, we play hard, too. Check out pictures from our contest by clicking here! From birthdays to work anniversaries, introductions to new co-workers and birth announcements, there isn’t a day that goes by without a fun email highlighting a special occasion around the office. Beyond showing each employee that their work and success is valued, this helps us keep in touch with each other’s lives and fosters community within our tight-knit organization. 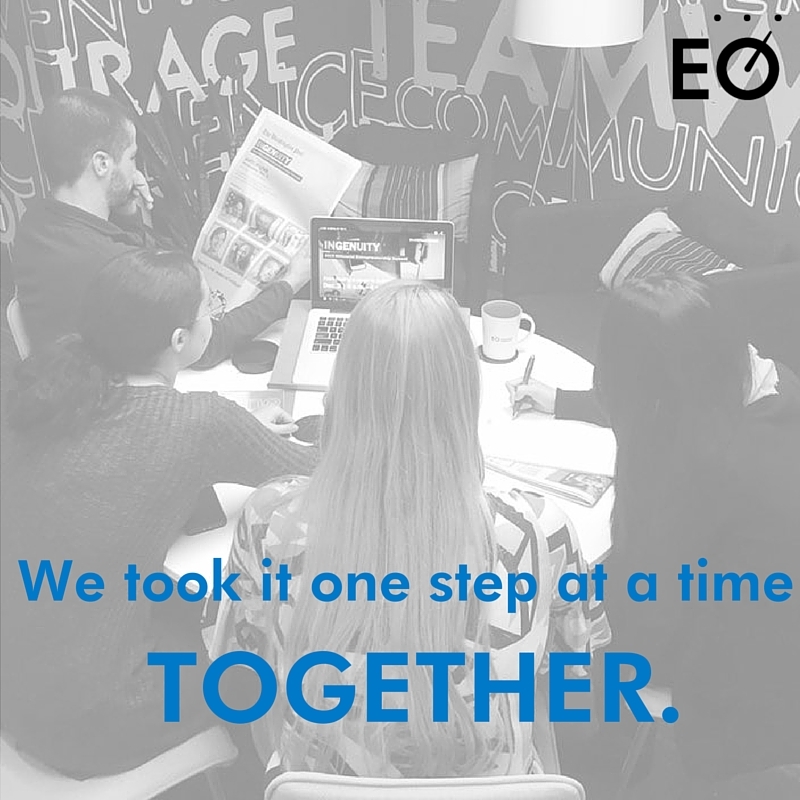 Beyond our day-to-day interactions with members and entrepreneurs globally, we take pride and work HARD to help plan amazing events and learning opportunities. This means big projects are constantly abuzz. Not surprisingly, this is overwhelming – too overwhelming for one person to handle. Regardless of the phrasing you prefer, we “take one bite at a time,” “one step after the other,” and “slowly, but surely” we finish a project as a team. 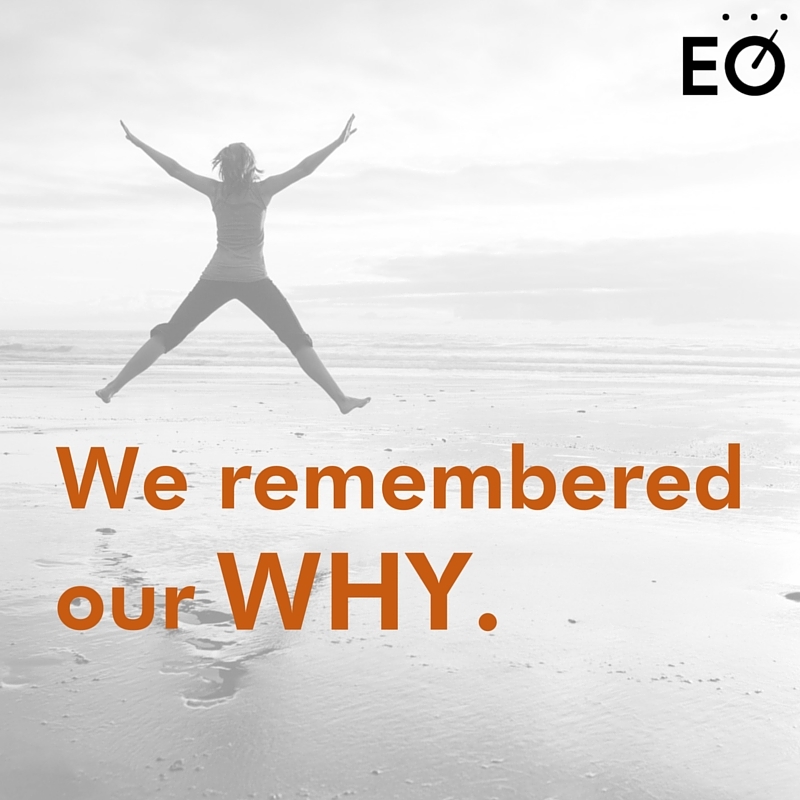 What is our “why?” It’s you: our members and readers, Accelerators and GSEA partipicants, experts and entrepreneurs globally who look to achieve their best each and every day. Thank you for letting us being a part of your journey, and thank you for being a part of ours. What motivates you and your employees to work harder each day? Let us know in the Comments section below; or tag us on Facebook or Twitter. Don’t forget to use this month’s hashtag, #EOlooksback.